The narcissist flaunts his charitable nature as a bait. He impresses others with his selflessness and kindness and thus lures them into his lair, entraps them, and manipulates and brainwashes them into subservient compliance and obsequious collaboration. People are attracted to the narcissist's larger than life posture – only to discover his true personality traits when it is far too late. 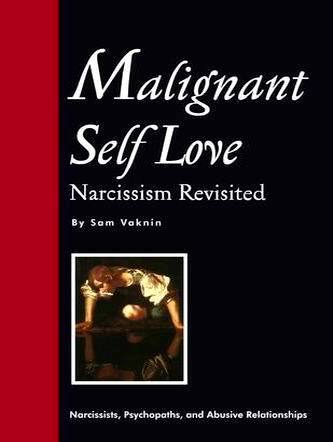 "Give a little to take a lot" – is the narcissist's creed. This does not prevent the narcissist from assuming the role of the exploited victim. Narcissists always complain that life and people are unfair to them and that they invest far more than their "share of the profit". The narcissist feels that he is the sacrificial lamb, the scapegoat, and that his relationships are asymmetric and imbalanced. "She gets out of our marriage far more than I do" – is a common refrain. Or: "I do all the work around here – and they get all the perks and benefits!" Faced with such (mis)perceived injustice – and once the relationship is clinched and the victim is "hooked" – the narcissist tries to minimise his contributions. He regards his input as a contractual maintenance chore and the unpleasant and inevitable price he has to pay for his Narcissistic Supply. After many years of feeling deprived and wronged, some narcissists lapse into "sadistic generosity" or "sadistic altruism". They use their giving as a weapon to taunt and torment the needy and to humiliate them. In the distorted thinking of the narcissist, donating money gives him the right and license to hurt, chastise, criticise, and berate the recipient. His generosity, feels the narcissist, elevates him to a higher moral ground. Most narcissists confine their giving to money and material goods. Their munificence is an abusive defence mechanism, intended to avoid real intimacy. Their "big-hearted" charity renders all their relationships – even with their spouses and children – "business-like", structured, limited, minimal, non-emotional, unambiguous, and non-ambivalent. By doling out bounteously, the narcissist "knows where he stands" and does not feel threatened by demands for commitment, emotional investment, empathy, or intimacy.